Once you cook collard greens in your Instant Pot, you’ll never want to make them any other way! 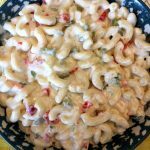 Twice as fast compared to boiling on the stove! 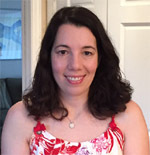 With the Instant Pot, you truly “set it and forget it”. Stuff the collard green into the Instant Pot, pour some water, press the button and you are free to leave! When the cooking time is up, Instant Pot will automatically stop cooking – it doesn’t need your intervention. 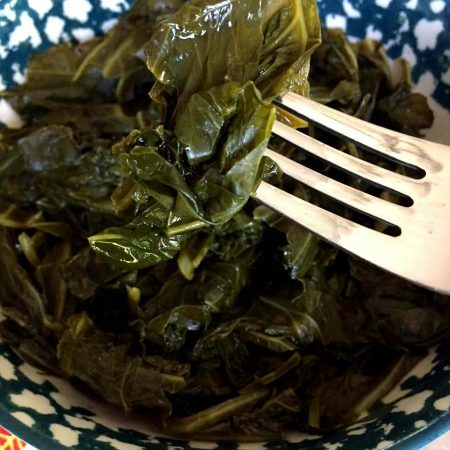 If you aren’t ready to retrieve your perfectly cooked collard greens right away, it will keep them warm for you until you can get around to it! 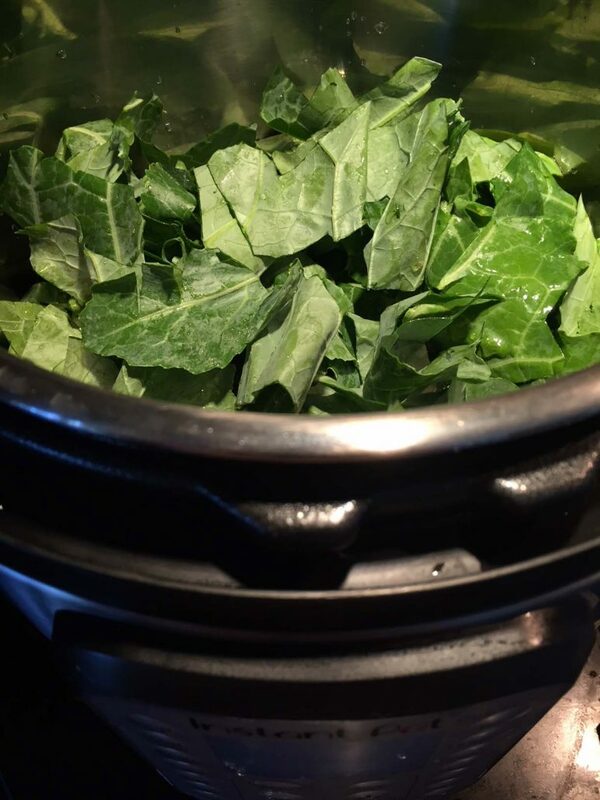 Cooking collard greens in the Instant Pot is super easy. 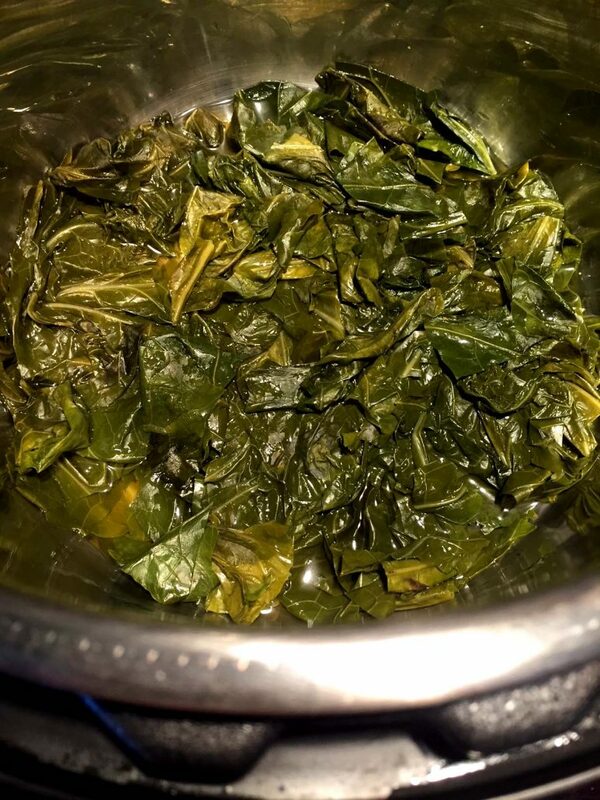 All you need to do is put collard greens in the Instant Pot along with 1/2 cup of water and pressure cook for 25 minutes on High pressure, followed by a quick release (QR). That’s all there is to it! The basic Instant Pot collard greens version is vegan – just collard greens and water 🙂 Of course, you can add any flavorings your like! You can use chicken stock instead of water, you can add cooked hamhocks or smoked turkey together with collard greens to the Instant Pot, or you can make it with bacon. For bacon collard greens, first saute chopped bacon in the Instant Pot on a Saute setting, then add water and collard greens and cook as usual. 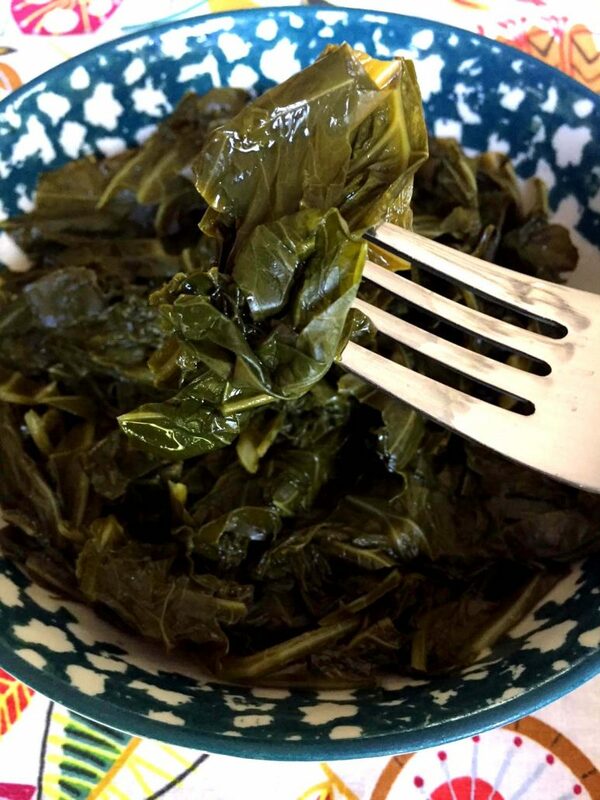 Instant Pot collard greens are so tender and mouthwatering! These true Southern collard green just melt in your mouth! Enjoy! 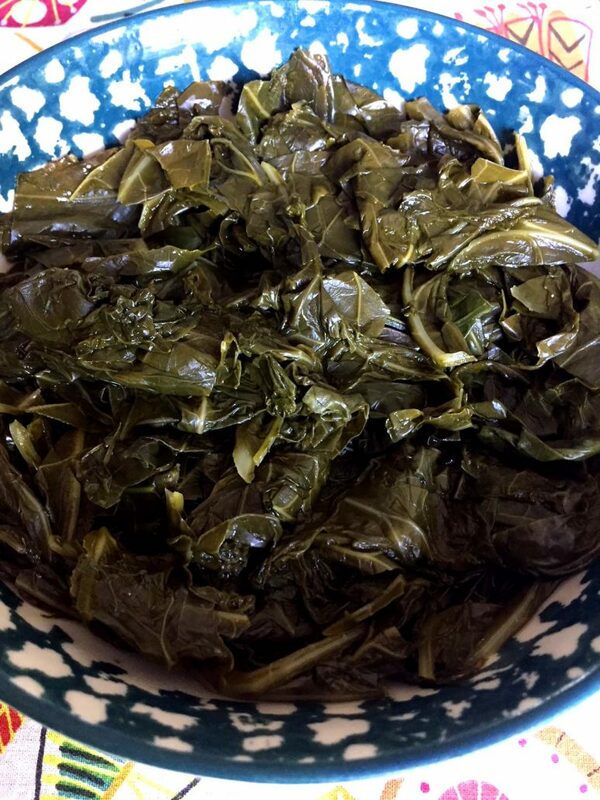 Sauteed Collard Greens – another quick and easy way to make collard greens, simply by sauteing them in your frying pan! Instant Pot Baby Back Ribs – this is the best ribs recipe ever, truly fall-off-the-bone! 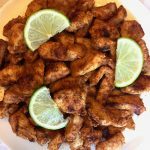 Serve them with your collard greens, mmm! Instant Pot Beets – this is the easiest method of cooking beets ever! Effortless and perfectly cooked! Instant Pot Meatloaf – cooks twice as fast as the one in the oven! Super juicy and tender too! Instant Pot Mashed Potatoes – once you make mashed potatoes in the Instant Pot, you’ll never make them any other way! 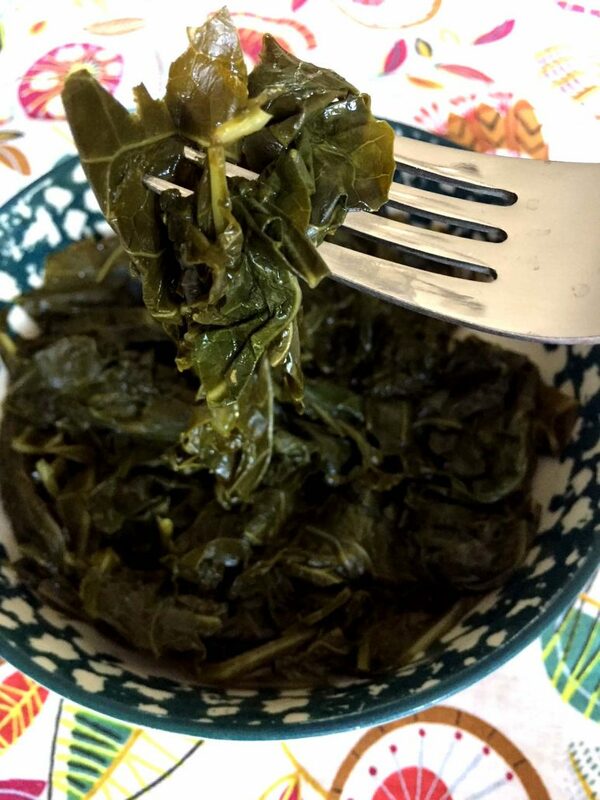 These Instant Pot collard greens are so tender and delicious, and cook in a fraction of a time compared to boiling them on the stove! 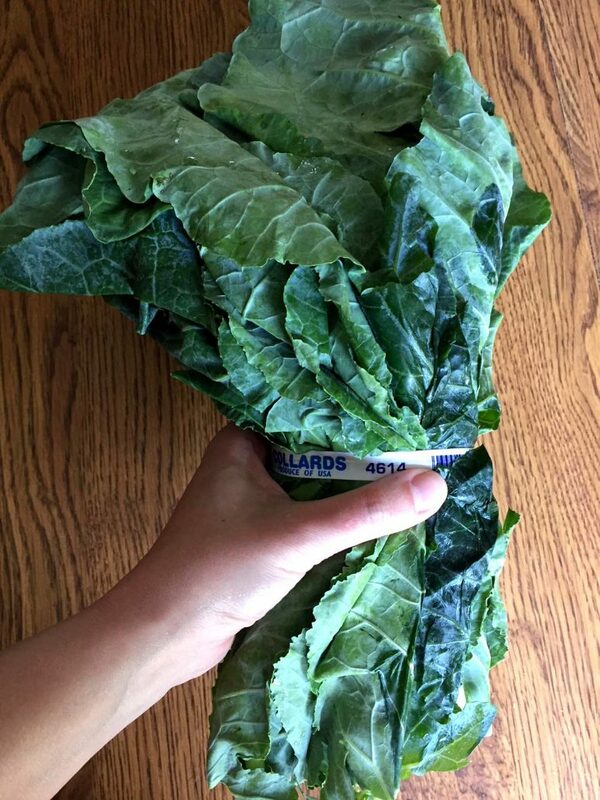 Once you cook collard greens in the Instant Pot, you'll never make them any other way! 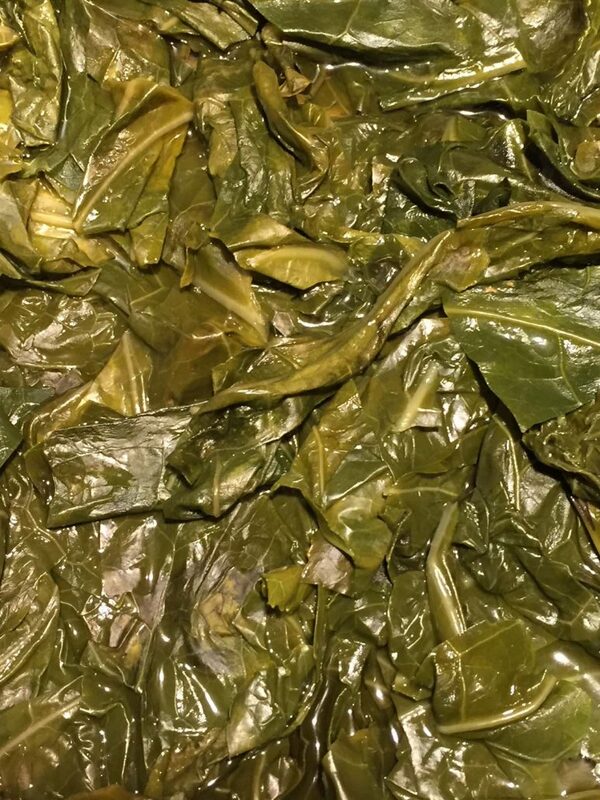 Put water and collard greens in the Instant Pot. Close the lid and turn the valve to a Sealing position. Press the "Pressure Cook" or "Manual" button and set the time to 25 minutes on High pressure. You can add pre-cooked hamhocks or smoked turkey to Instant Pot together with collard greens. You can also saute chopped bacon in the Instant Pot, then add water and collard greens for bacon-flavored variation.